In a soccer field filled with elementary and middle school kids, one stood out in particular. It wasn't just his small size or his impressive touch on the ball that grabbed attention, it was his friendly smile. 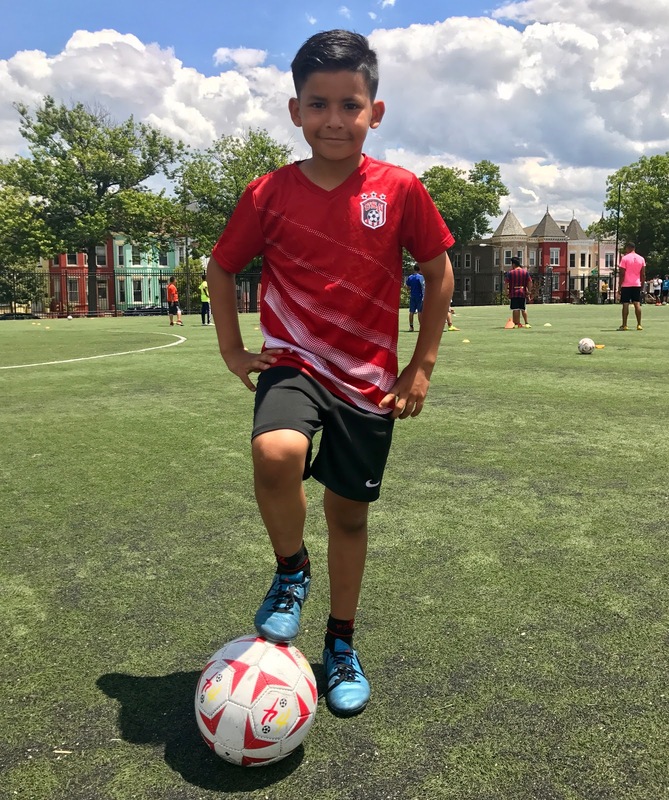 First time camper Chris C., seemed right at home during the two-week soccer camp at Tubman Elementary School. By the second day of camp he made friends with pretty much every camper, coach, and volunteer on the field. It was just a matter of time before Chris picked up a nickname from his fellow campers. Whenever Chris was on the field you could hear his teammates yelling out "Dybala! Dybala!" This nickname came to life after noticing the similarities between Chris and his favorite soccer player, Paulo Dybala. It wasn't surprising to see the 9 year-old practicing with the middle school boys by the third day of camp. Despite the difference in heights, Chris' skill level fit right in with the older boys. The ease Chris has to make friends is thanks to his participation in DC SCORES at Bancroft Elementary School, which is like a second family to him. Every time someone mentions Bancroft, he speaks so fondly of all the school staff, his coach, and his teammates. It's hard not to gravitate toward a kid that is so willing to learn and help out his fellow teammates. Chris wasn't one to hesitate to pass the ball to his friends on the field. He always had a cool head during games and was a trusted player by all. A true leader on the field. That's how Keith Tucker, former Howard University and Bermuda National team head coach, describes Chris. "He's the kind of guy you want on your team. The kind that brings the best out of his teammates," said Tucker. 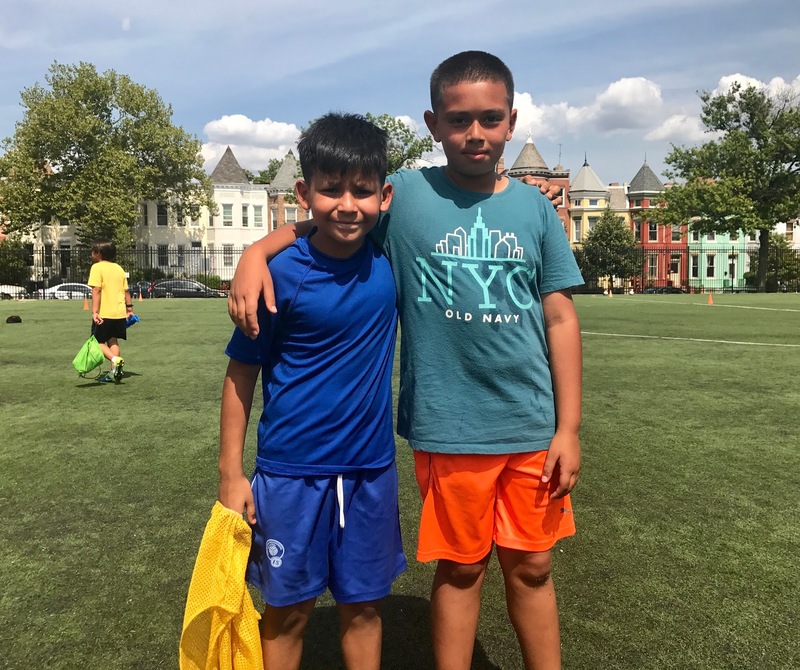 This was Chris' first time at a DC SCORES summer camp, but it definitely won't be his last thanks to all the fun memories he made with his new friends and coaches.